Merry Christmas, Readers, for those of you who celebrate it! 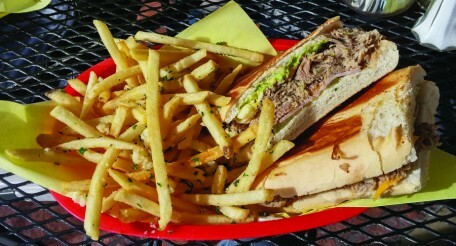 Even if you don’t, this is still the post for you to keep an eye on. What better to celebrate this holiday if you’re off with family, or just enjoying a movie and Chinese food, than by indulging in fantastic seasonally inspired beers? I’m a huge fan of seasonal beers in their right season (let’s hold off on Pumpkin ales until after Labor Day, eh? ), and so Black Friday hits, I switch into spiced ales that really get me in the holiday spirit. One of my long-time favorites is Anchor Brewing’s Christmas Ale. I’m a huge fan of Anchor Steam so it was only natural to check in on this beer for the first time a few years ago. Each year the brewers tweak the recipe a bit to create a beer that is at once recognizable, but also different. Even the label with its artistically rendered tree is different from year to year. The thing that remains the same though is how good it tastes. This year the spice flavor that has become synonymous with winter warmers has been toned down, allowing a delicious malty and roasty flavor shine through. But don’t worry, it’ll still have the flavor that reminds you nothing is more satisfying than drinking this next to the trimmed tree and a fireplace. Something must be going on up there in San Francisco because one of my new holiday favorites comes from a brewery I know all too well. 21st Amendment’s Fireside Chat popped into stores a few weeks ago, and with my love for all of the beers of this brewery (Specifically Hell of High Watermelon Wheat and Sneak Attack Saison), I had to grab a six pack of this winter warmer. 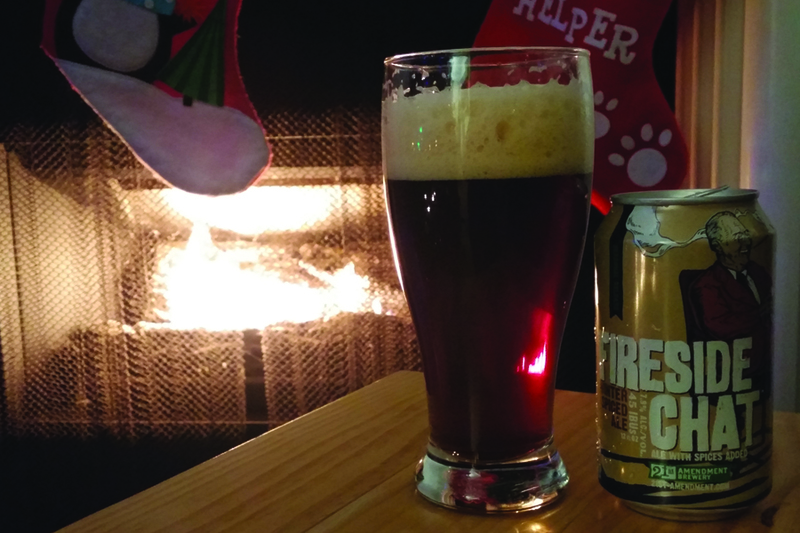 A Strong Ale mixed with various winter spices and cocoa nibs, this beer also packs a nearly 8% ABV and a bit of hop punch moderated by its delicious malt backbone. One of these will have you feeling the Christmas spirit. Two of them might keep you in a deep sleep even if Santa rolled up with his squad of reindeer blasting dubstep at two in the morning. 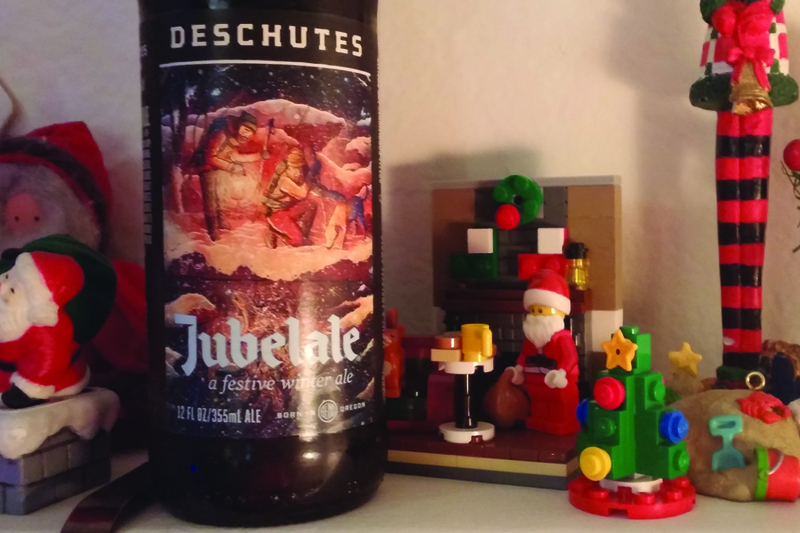 The last of my top picks for a Christmas Ale is Deschutes Brewery’s Jubelale. I’ve been a fan of this for awhile and like Anchor’s beer, the label, this year by artist Taylor Rose, changes every year which adds a bit of fun to this delicious holiday ale. At 6.7% ABV with a delicious malty and spicy flavor, combined with five different hops this is my absolute favorite holiday ale. There are also hints of toffee chicory, and dried fruit combining with all those hops too. And like the other beers, it’s got a beautiful color to boot. While there are plenty of other delicious holiday beers like The Bruery’s Eight Maids A Milking and Golden Road Brewing’s Back Home Gingerbread Stout, these three are my top choices, but honestly you really can’t go wrong with any of these. So while you’re settling in with family at eight in the morning, opening gifts, why not crack open one of these delicious beers and get the holiday started right? Until next week, Readers. 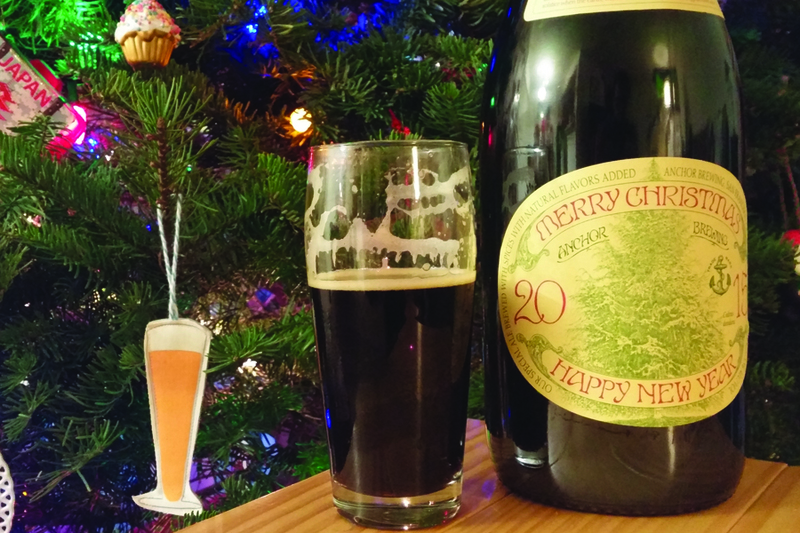 Merry Christmas, and a Happy New Beer!